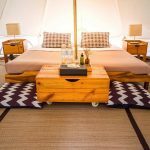 The Hideaway Cabarita Beach, a 20-minute drive south of Coolangatta Airport, will bring glamping to the Tweed Coast when it begins operations on Boxing Day. The ‘boutique outdoor hotel’ will provide the perfect holiday opportunity for those who like the great outdoors, but also demand the creature comforts of things such as quality bedding and hotel-like services. Just steps from the sand, the glamping retreat offers 15 classic bell tents, five deluxe bell tents and five larger tents perfect for families or groups of friends, along with two retro ‘CABA’ vans — permanent caravan-style cabins, ideal for couples. The Hideaway offers many of the amenities of a hotel, with communal lounge areas, bean bags, a fire pit, break-out zones and wi-fi. Highlighting The Hideaway’s commitment to making glamping even more comfortable is an ensuite amenities block, with each cubicle including toilet, shower, quality products and vanity to provide maximum privacy. The Hideaway ‘village’ is just a short stroll through a nature reserve onto the sands of Cabarita Beach, and is 100 metres from a main shopping precinct, with access to an array of quaint cafés, trendy shops, wining and dining. Opening rates are valid to January 25 and range from $129 for a bell tent with a queen bed to $169 for ‘CABA’ van. Phone 1300 611 392 or visit www.hideawaycabaritabeach.com.au. 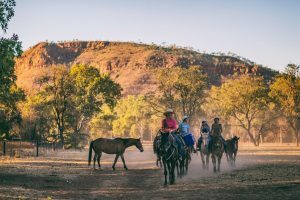 Indulge your thrill-seeking side in the Kimberleys … horse-riding at El Questro. El Questro, which provides classy accommodation in the Kimberleys, has launched its 2019 season opening offer. Visitors who book before April 30 can stay in air-conditioned bungalows at The Station or safari-style tented cabins at Emma Gorge and receive a three-night stay for the price of two. In addition, guests will receive complimentary breakfast for two people daily. Travellers can indulge their thrill-seeking side, discovering the many natural wonders of El Questro by driving up the rugged 4WD tracks to Branco’s Lookout to watch a captivating sunset over the Kimberley River. Those in search of a more relaxed holiday experience can enjoy a cruise down the breath-taking Chamberlain Gorge on a guided tour complete with sparkling wine and fresh fruit, or unwind under the lush palm trees in the thermal waters of Zebedee Springs. Those in search of a more exclusive experience can book into The Homestead. Perched on a cliff top with stunning panoramic views of the Chamberlain River, The Homestead is surrounded by almost one million acres of rugged wilderness. For a limited time, travellers who book a stay four nights or more will receive a discount of 15 per cent at The Homestead, as well as a complimentary helicopter tour for two people to the secluded Miri Miri Falls. 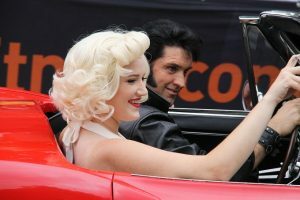 Elvis and Marilyn lookalikes drive by in the festival’s street parade. From 9-13 January more than 25,000 visitors will shake, rattle and roll into the NSW town of Parkes for the Southern Hemisphere’s biggest tribute to the King. Starting out at as a small get together by like-minded Elvis fans in 1993, the Festival has grown into an internationally renowned phenomenon. The 2019 Parkes Elvis Festival program features more than 150 Elvis-themed events, including the headline Feature Concert Series, a street parade, a renewal-of-vows ceremony, free Cooke Park main-stage entertainment and an Elvis gospel service. The Elvis Express and the Blue Suede Express will depart Sydney’s Central Station at about 9am on January 10. Four Points by Sheraton Sydney Central Park … an ideal base for stays in a city with a packed summer program. One of Sydney’s newest international hotels, the Four Points by Sheraton Sydney Central Park, is offering a ‘Summer Escape’ package with rates from $218 a night, including extras such as buffet breakfast, a welcome drink, free wi-fi and 1pm checkout. The package is valid for bookings of two nights or more until January 31, not including New Year’s Eve. With Sydney offering a full calendar of events over the summer period, including a cricket Test match at the nearby Sydney Cricket Ground between Australia and world-champions India, and with a packed Sydney Festival arts and cultural program, the Four Points by Sheraton Sydney Central Park will provide an ideal base for Sydney stays. The hotel opened recently in Chippendale’s Central Park precinct, one of the city’s newest urban regeneration areas. The hotel is surrounded by quality dining, including one of Sydney’s hottest ‘eat streets’, Kensington Street, along with art galleries, bars, boutiques and the nearby Broadway shopping centre. Guests can enjoy contemporary cuisine at Central Quarter restaurant, with outdoor dining and an open kitchen. Malt Bar offers a relaxed venue that pays homage to the site’s former history as one of Australia’s largest breweries, the Kent Street Brewery. Setting the sky alight … watch the Perth Skyworks from your private balcony. Enjoy the Australia Day Skyworks with million-dollar views across the Swan River and Perth city — all from your private balcony at Metro Hotel Perth! 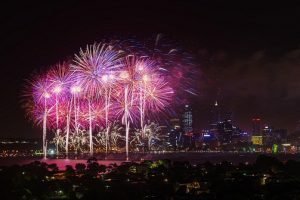 Avoid the crowds on the ground and book a balcony room (on levels 3-10) overlooking the beautiful Swan River to watch the fireworks light up the night sky. Prices start from $249 for a balcony room on the third floor, including a night’s accommodation, complimentary continental breakfast, complimentary parking, and noon checkout. The package is valid from January 23-29 inclusive. Phone (08) 9367 6122 or visit www.metrohotels.com.au. 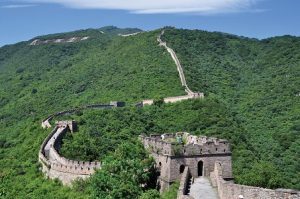 China’s must see Great Wall … dine al fresco alongside a rarely visited stretch of the Badaling section. It’s a land of natural wonders, fascinating traditions and architectural triumphs. China’s immense diversity has made it an increasingly popular destination for travellers since opening its doors to the rest of the world in the 1970s. The Great Wall is a must-see on any visit to China — a World-Heritage-listed masterpiece that ripples across the highland landscapes surrounding Beijing. Few get the once-in-a-lifetime experience of dining al fresco alongside a rarely visited stretch of the Badaling section of the wall. But that is one of the exclusive features of APT’s 15-day ‘Treasures of China’ itinerary. A quiet square will play host to a private lunch that has been chef-prepared exclusively for APT travellers, with free-flowing drinks and beautifully set tables adding to the magical experience. The tour is priced from $9395 per person twin-share. Hong Kong’s inaugural ‘Pulse Light Festival’ … a sparkling line-up of visual feasts. Hong Kong is taking its world-renowned skyline to the next level with the former colony’s inaugural ‘Pulse Light Festival’. Visitors and locals will be treated to a sparkling line-up of light-filled free festivities and visual feasts up until February 24. 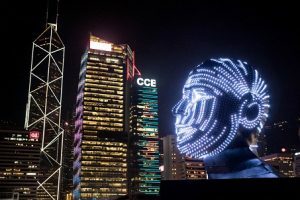 Regarded as the largest open-air light festival in Hong Kong, the festival will feature an array of glowing installations by artists from across the globe, complemented by a winter edition of the nightly ‘A Symphony of Lights’ light-and-music show. Highlights include ‘Winter Wonderland’, in which artists will display their light-inspired installations along Victoria Harbour, creating a festive glow and a magical incandescent experience. Namibia … glide in a hot-air balloon over Sossusvlei Dunes. 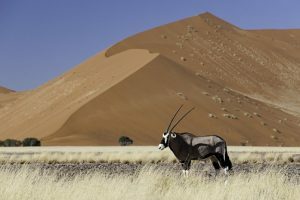 Namibia is one of Africa’s most intriguing destinations — a country of astonishing landscapes, home to the oldest desert on the planet, as well as the bleak but beautiful Skeleton Coast, not to mention some truly spectacular wildlife. Latitude 33 is giving travellers an unparalleled opportunity to immerse themselves in this fascinating country as part of its exclusive 32-night ‘Wings over Namibia & the African West Coast’ journey in March 2020. Spend nine nights at some of Namibia’s most evocative camps, including Little Kulala, the closest luxury camp to the remarkable Sossusvlei Dunes where you can keep an eye out for ostrich and bat-eared foxes while gliding in a hot-air balloon far above the vast Namib Sand Sea. Top and tail your Namibia sojourn with stays at two of South Africa’s most luxurious hotels — Johannesburg’s Four Seasons The Westcliff and Cape Town’s One & Only, where guests can take a cable car to the top of the iconic Table Mountain and visit the majestic Cape Winelands, before embarking on an 18-night cruise on board Silver Cloud. Prices start at $35,999 per person twin-share, including return international economy class airfares with Emirates. Phone 1300 636 848 or visit www.latitude33.travel. Oeno Island … setting next June for a total solar eclipse. Following an application to be a Dark Sky Sanctuary and a recently announced new shipping service, Pitcairn Islands Tourism has launched an exclusive tour to celebrate the total solar eclipse which will pass over the islands next July. 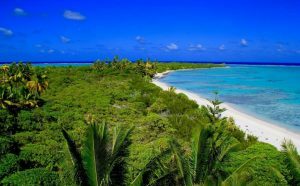 The 18-night tour includes 11 days cruising around the remote Pitcairn Islands, including the world’s third-largest marine reserve, visiting UNESCO World-Heritage-listed Henderson Island and Oeno Island to view the solar eclipse and a four-day stay on Pitcairn Island, home of the descendants of the Bounty mutineers since 1790. Pre- and post-stopovers in Tahiti are also included. Prices are from about $16,250 per person twin-share, including four nights accommodation in Tahiti with transfers, half-day tour and breakfasts. The Scottish Highlander … will treat guests to a wide variety of wildlife. European Waterways is helping travellers ‘get back to nature’ with 10 per cent off cabins and charters on select European hotel barge cruises during next April and May. 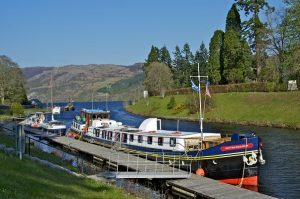 In Scotland, for instance, European Waterways’ 12-passenger Spirit of Scotland and eight-passenger Scottish Highlander hotel barges will treat guests to a wide variety of wildlife as they cruise the Caledonian Canal and traverse a chain of inland lakes, or lochs. While “Nessie” is often too shy to show herself in Loch Ness, guests may be lucky enough to see otters in the water and birds of prey in the skies above. For those wanting a closer look at the raptors, they can get up close and personal with exclusive birds-of-prey demonstrations, featuring the aerial acrobatics of falcons, hawks, eagles and owls. The Scottish Highlander is offering special rates on select departures, starting at about $5110 per cabin, based on double occupancy.